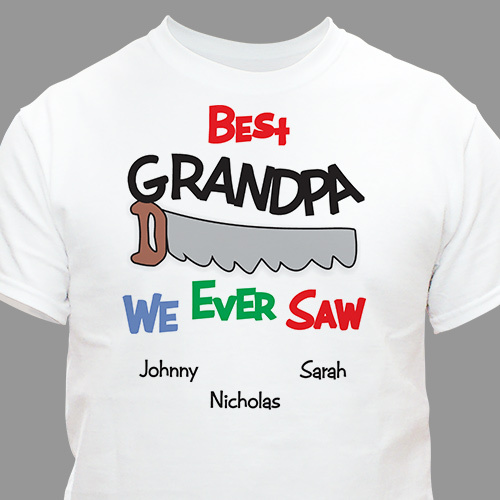 If he's handy around the house, he'll love this Best We Ever Saw custom shirt, which can be personalized with any title — like Gramps, Dad or Uncle Bob — and up to 30 names! These personalized handyman Grandpa Shirts is made of 100% cotton and comes in four colors and adult sizes S-4XL. Bought this as a gift for my husband for his birthday. He absolutely loved it. Fir was true to size. Well made shirt.